Every time I watch veterinary professionals offering condolences to family members who have just lost a beloved pet, my heart aches. The sight of leashes and collars that once belonged to a family member now gone brings into light the reality that veterinary staff face on a daily basis. I know the pain of making life or death decisions for a beloved pet, and I know the aftermath of choosing to end the life of a pet who has been a cherished friend. Euthanasia. This word can halt a conversation from across the room. It conjures images of tearful goodbyes and reminds of heartbreaking conversation with both longtime clients and those who are unexpectedly in our emergency rooms looking for a miracle. I have seen veterinary professionals navigate this highly emotional scenario more times than I can count. Day after day, they come back and willingly expose themselves to a never-ending cycle of grief and loss. It is well known that veterinary staff are exposed to death at a rate five times higher than human medical professionals. The evolution of social work in veterinary medicine began over 30 years ago. The knowledge of the link between humans and animals continues to evolve. In 2002, Elizabeth Strand, founding director of the Veterinary Social Work Certificate Program at the University of Tennessee-Knoxville, coined the term Veterinary Social Work. There was now a contextual base giving structure and legitimacy to this field of practice. 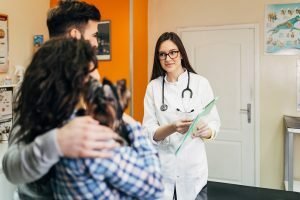 As the field continues to advance, veterinary social workers can be found in veterinary hospitals and clinics, schools of veterinary medicine, and even on Capitol Hill lobbying for animal rights. Veterinary social workers are trained in addressing the human needs of veterinary professionals and their clients. To help navigate the adversities that arise from the love of animals and the toll of caring for them. Veterinary staff are compulsively driven to achieve, to succeed: Failure is not an option, though it is a very real fact of life. Veterinary social workers help veterinarians and veterinary staff to understand how their daily interaction with clients can impact them. Social workers assist with stress management, mental health awareness, compassion fatigue, burnout, communication and conflict management skills. One in six veterinarians have reported they struggle with thoughts of suicide. Social workers can intervene before a person enters an emotional crisis and serve as a bridge to outside mental health resources. 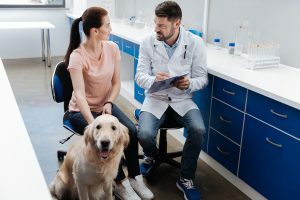 In the process of providing owners with emotional support, social work intervention releases the veterinary staff from extensive emotional interactions and allows the veterinary team more time and energy for other patients. Culture is like the wind: We cannot see it, but we can feel it. We know it exists by the values and behaviors we are taught. By introducing social work into the veterinary environment, we begin to change staff and hospital culture. Social work is a practice foreign to the veterinary community and functions outside of established norms. It exposes staff to values, behavior, techniques and strategies that allow for change. Without this support, the very culture leading to one of the highest suicide rates out of any medical profession will never change. Both personal and environmental change is possible if you are open to seeing your own reality.